A recent project completed by Dempsey's Specialized Services for the Christiana Care Health System. 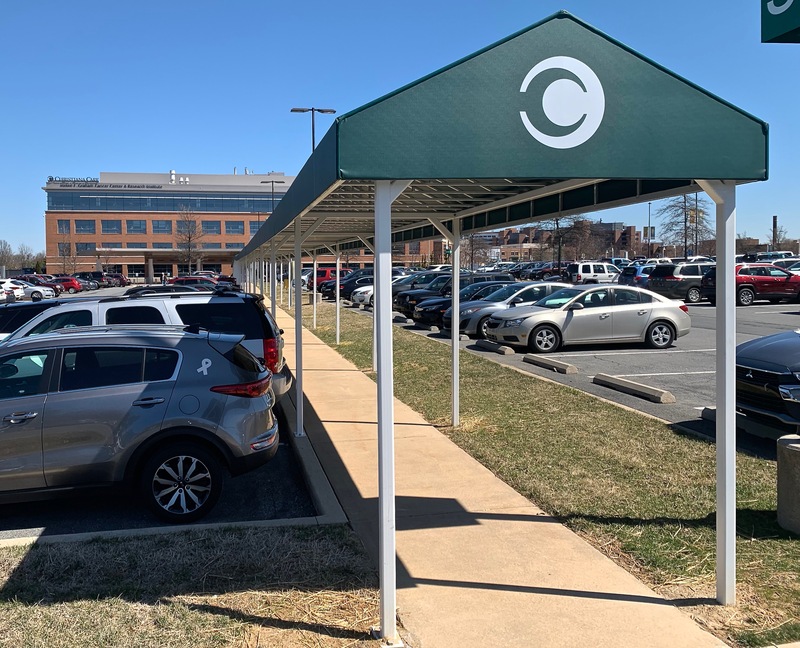 The project was to construct 320 feet of awning over top of the parking lot sidewalk in front of the Helen F. Graham Cancer Center & Research Institute. DSS completed the design, fabrication, & installation of the awning. Patients are now able to walk from their cars to the hospital with very little impact of the weather. The customer was very happy with another quality project completed by Dempsey's Specialized Services. Contact us to schedule a consultation or an onsite review of your project, or send us your drawings / plans and we will get to work on a solution that works with your budget.